The name of this popular Italian lunch food translates literally to “Italian sandwich.” Although you may often see “paninis” listed on the menu in American cafes, “panini” is itself plural, the singular being “panino.” Italian restaurants in USA often press-grill panini to make the bread fragrant and crispy, enhance the flavors, and melt cheese (if used), but many Italians also enjoy these sandwiches at home without grilling them. Some days before school, mamma would stop in a panini shop called Sandra and get my panino for that day’s lunch, which was always my favorite. I got my inspiration for this recipe from the delicious paninos I would have when I was a young student. 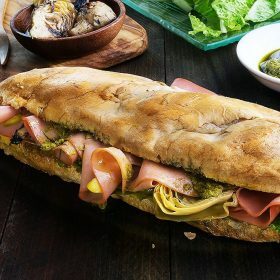 My panino is made with fresh pesto, mortadella imported from Bologna, and artichokes packed in olive oil, which are true flavors of Italy. If you love cheese in your panino, you can add some provolone, mozzarella, grana padano, parmigiano reggiano or fontina. You can make your Italian sandwich with anything you want, literally, so let your imagination and creativity work for your palate! 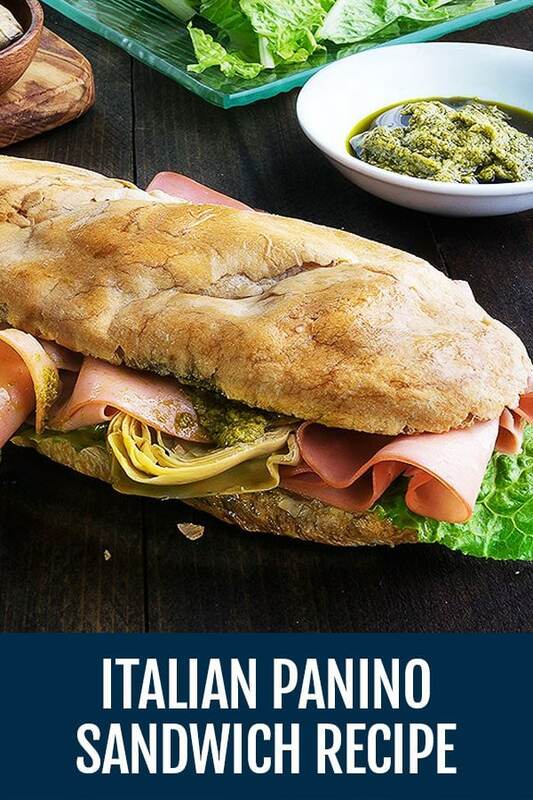 Panino in Italian is literally Italian Sandwich. In Italy it is very usual to go to a local grocery store, and ask the clerk at the meat section for a panino, which will have anything you want to add! 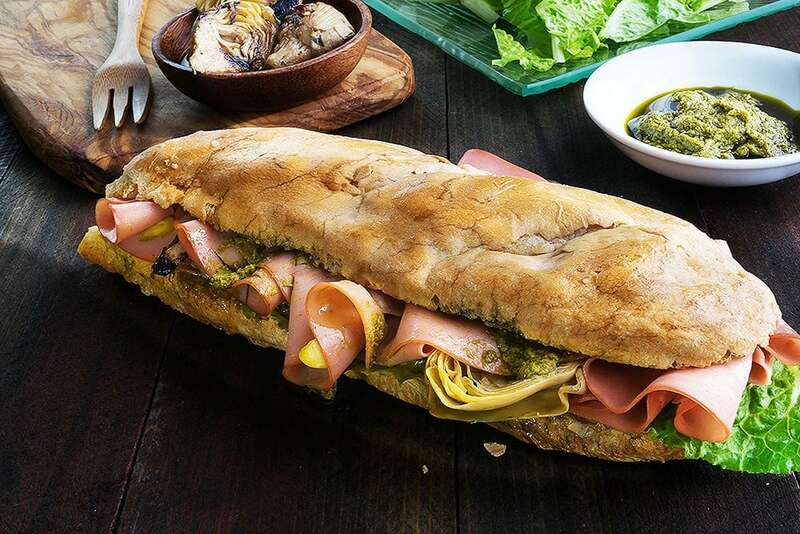 Brush the inside of both sides of the Italian ciabatta bread with pesto. Build the sandwich with 1 lettuce leaf, the mortadella, the artichokes and a light drizzle of their oil, a pinch of salt and pepper, and the other lettuce leaf. Top with the other slice of ciabatta, cut in half, and enjoy!